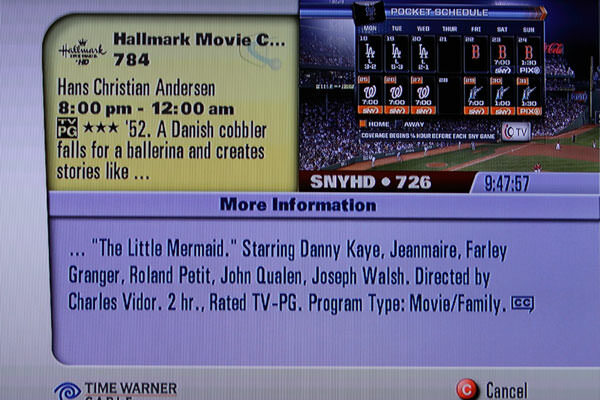 Do people really watch movies on this channel? IMDB lists the movie at 112 minutes long, yet they take 4 hours to show it. That means that if they display 10 minutes of movie, you have to sit through 11 minutes of commercials. P.S. At least I’m consistent. The photo from the last time something like this happened showed that I was tuned to SNY at 9:37 p.m. Clearly, I’m fond of watching SNY at night and cruising the guide for something else to watch.